Perhaps you’ve realized that gutter covers cost less than paying someone to clean them for you, year after year. If you don’t yet have gutter covers, gutter cleaning is a task that must be done routinely, even though it’s a messy job. Stop procrastinating if you see any of the following signs! 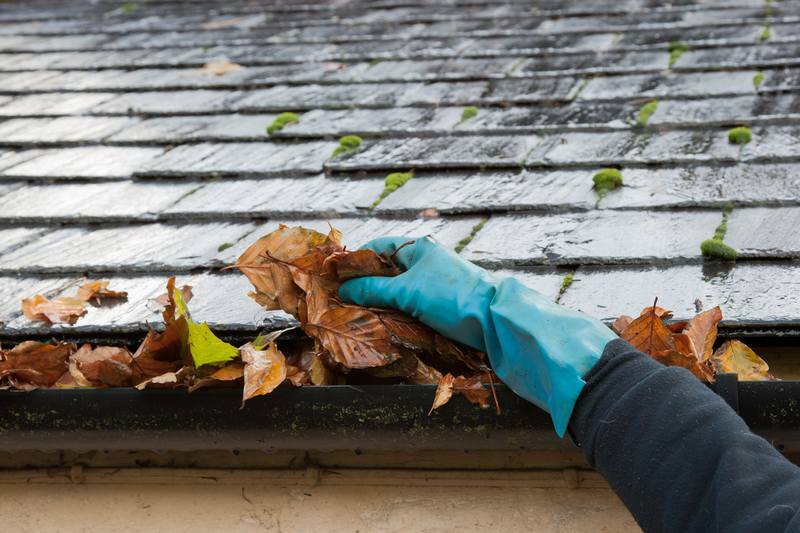 Not cleaning your gutters can cause significant damage to your home. Weeds & plants. There are a few ways that your gutters can accumulate enough dirt to allow a plant to grow. First, the wind constantly blows dirt onto your roof and rain washes it into the gutters. Another way is when leaves and other debris rot to a consistency that creates the perfect spot for a seed to germinate. If you’re wondering how seeds get into your gutters, wind and birds are the primary culprits. In any case, it’s a sure sign you need to clean them out when plants start growing. Birds. Birds love gutters for two main reasons. A gutter filled with leaves and twigs is the perfect place to collect what they need for a nest. They also love nesting in a gutter. It’s a place far from squirrels and other rodents who may want to eat their eggs. Plus, a deep gutter is out of the wind. Rodents. Although birds may think a gutter is safe from mice and other animals, they’re wrong. If there’s a tree or shrub close by, many types of animals can get onto the roof area. A gutter full of leaves makes a comfy bed for small pests. Although snakes aren’t rodents, they love gutters too! Clogged gutters prevent rainwater from moving through as it should. When temperatures are above freezing, you end up with the waterfall effect. If you have the big-box store fine mesh screen gutter guards and you aren’t keeping those clean, the same thing happens as with clogged gutters. When water runs over a gutter screen, it defeats the purpose of having gutters at all. If it’s below freezing and you have beautiful icicles hanging from your gutters, chances are good that your gutters are past cleaning since the primary reason for icicles is clogged gutters. Gutters are meant to hold the weight of water running down and out the downspouts. They aren’t meant to hold wet debris plus standing water that has nowhere else to go. When your gutters clog and water sits in them, they may begin to sag or pull away from the fascia. When your gutters reach this point, you may need to replace them. This makes the cost of gutter covers seem very reasonable when compared to frequently repairing and/or replacing your gutters. If you don’t have gutter covers, or you have fine mesh screen gutter covers that don’t really work, call Gutter Helmet at (800) 824-3772. We’ll connect you to your local dealer for a free quote, or you can fill out our form and we’ll have them contact you. National Marketing Manager for Gutter Helmet®, Chelsea Welsh, MBA, has been a part of the Gutter Helmet team for 7 years and in the home improvement industry for over 13 years. Chelsea is a recognized expert in internet marketing strategies for the home improvement industry. She holds an MBA degree with a Master's Degree in Marketing. She lives in Louisiana and enjoys spending time with her two sons, Christian and Noah. For more from Chelsea, visit the Gutter Helmet® blog. © 2019 Southeastern Metals Manufacturing Company, Inc.
**Discount off dealer list price as to product plus professional installation, to be applied at time of contract execution by representative. Cannot be combined with other offers; applies to new Gutter Helmet purchase only. Participating dealers only. See dealer for details. Purchase documents must be entered into on or before April 30th, 2019. Offer must be presented at time of estimate. Offer subject to change without notice. Minimum 100 LF purchase. Gutter Helmet is not responsible for any typos. Void where prohibited by law. *The last independent researched study from Freedonia indicates, based on sales, that Gutter Helmet® commands more than 30% market share. 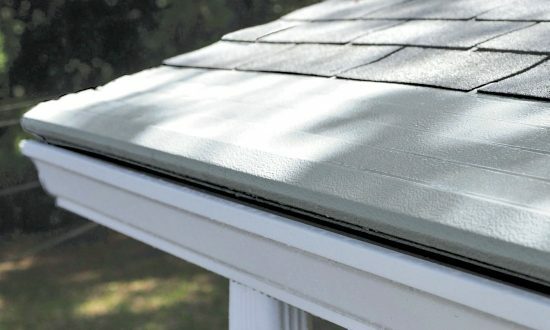 Our closest competitor is estimated to be at 25% and considering the vast array of “other” gutter protection currently in the market, no other competitor can make that claim for more than 7%. Based on these facts, we can and do claim to be America’s #1 choice for gutter protection.